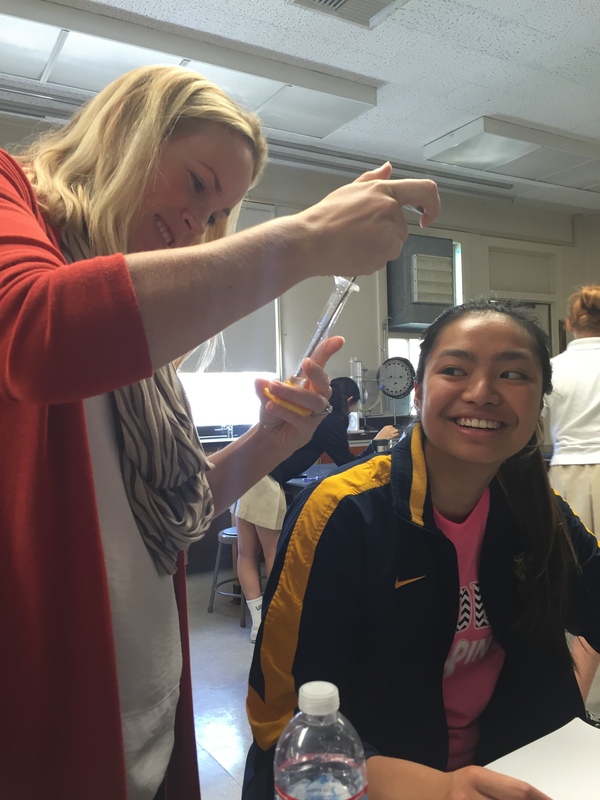 Last Tuesday our sports medicine class participated in a diffusion race! as a class we broadened our knowledge on diffusion in general, which according to Regina Bailey, is the tendency of molecules to spread into an available space. Without other outside forces at work, substances will diffuse from a more concentrated environment to a less concentrated environment. 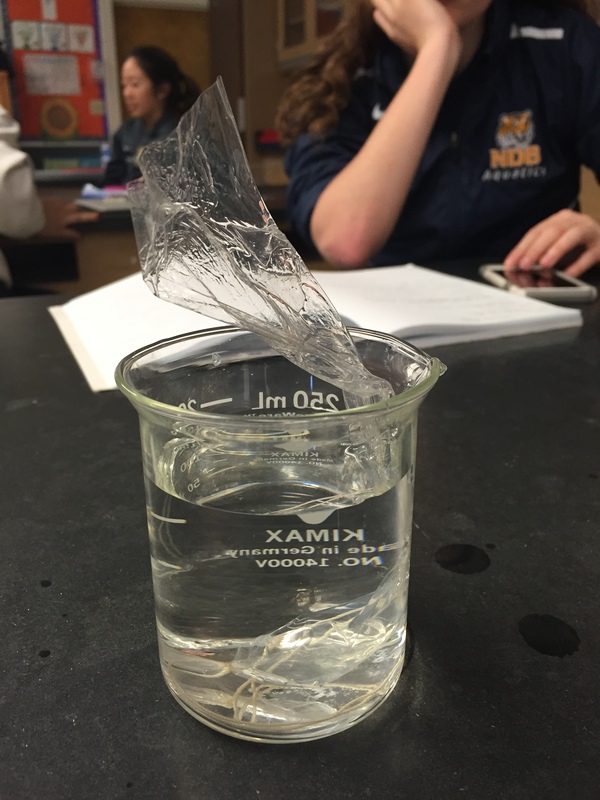 The liquid version of diffusion is osmosis. With this background knowledge, we were ready to start our race! Our Teacher Mrs. Kahn and Mavis as we started our race! We were met with the task to see which group could make glucose diffuse the fastest. My group decided to put less water than sugar is the dialysis tube, thinking the higher concentrated liquid will diffuse faster into a lower concentrated liquid. We put our mixture into the dialysis tube and submerged the tube into ionized water. 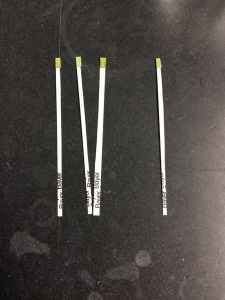 Every 5 minutes we used test strips to see if there were any higher levels of glucose in the ionized water. Our group ran into many problems during this race. First, our initial water seemed to already have some level of glucose in it as our first strip turned slightly green. On top of that, the sugar would instantly clump together when we tried making the mixture and this could have prevented any diffusion to occur in general. The accuracy is definitely questionable as displayed in the test strips below. It was a really fun race though! We will win next time!